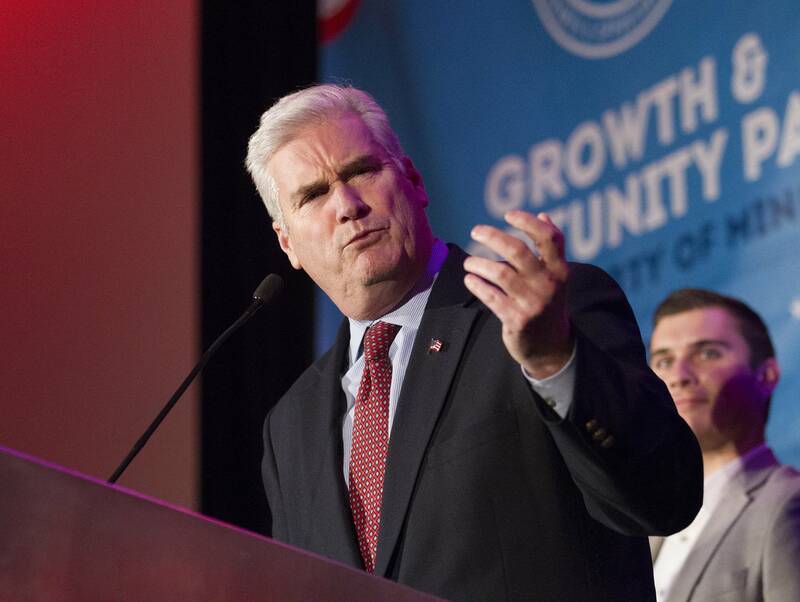 Updated: 11:30 a.m. | Posted: 6:41 a.m.
An overflow crowd is expected at a town hall meeting U.S. Rep. Tom Emmer is hosting Wednesday in the Stearns County city of Sartell. Emmer, a Republican, urges those attending to be respectful, after events elsewhere in the country drew vocal anti-Trump protests. Luke Yurczyk chairs the Republican Party in the strongly conservative 6th District represented by Emmer. "He's the type of person who loves to meet new people. He feeds on the energy of people," Yurczyk said.. "The other part of it is I think [Emmer] doesn't want to be insulated from that feedback. He's the type of person who wants to make sure he's getting information directly." Emmer's chief of staff, David FitzSimmons, warned in a press release Tuesday "should this event turn into a disruptive display, or if there are any violent actions or threats, we will end the meeting and be forced to reassess our policy on town halls going forward." In the month since President Trump took office, people who oppose his policies on everything from immigration to health care have been speaking out at congressional town hall meetings. • Related: With town hall script flipped on GOP, will history repeat itself? A week after Inauguration Day, it was standing room only at the Wellstone Center on St. Paul's West Side as DFLer Betty McCollum energized a decidedly anti-Trump crowd in a district where 70 percent of voters went for Hillary Clinton. "We must protect our future from this president's dangerous policies," McCollum said. "There will be no presidential honeymoon this year." Elsewhere — in the Twin Cities suburbs — members of Congress have not been as eager to meet the public. 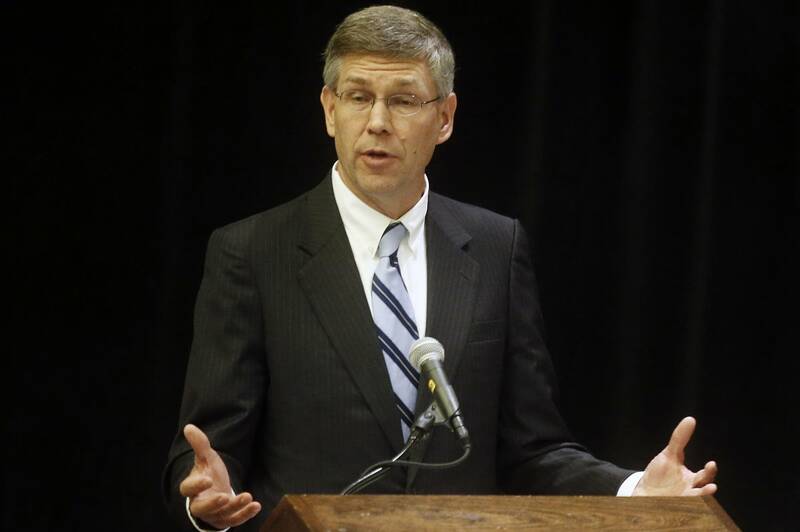 In the west metro, Republican Erik Paulsen easily won re-election in the 3rd District, which Clinton carried by nine points. Jena Martin, a Minnetonka physician, is an organizer with Indivisible CD3. The group, similar to others across the country, is pushing Paulsen to hold in-person constituent gatherings. "I don't understand why someone would go into politics and not defend the votes that they've taken. If you're a politician, I think you'd be good at defending your record and talking about your beliefs and positions." In a statement, a Paulsen spokesperson says the congressman has a long history of meeting with people in his district and "has already held two town halls this year." But Martin says those were telephone town halls that were tightly controlled and held with little public notice. 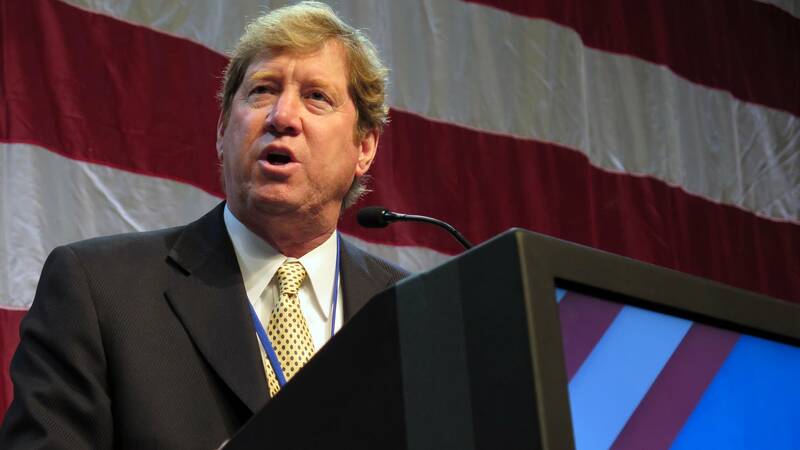 Republican Jason Lewis, who represents the 2nd District south of the Twin Cities, did not respond to requests for comment. But in a letter to the Star Tribune on Monday, the freshman congressman said he held two telephone town halls of his own last week. On TPT's Almanac Feb. 10, Lewis appeared open to the idea of an in-person gathering. "I'm certain we will in the future. But right now I'm trying to get things straight in D.C. and learn the ropes, and do what I can for the 2nd District." But Lewis also said he doesn't want to turn a town hall into a "partisan campaign rally." University of Minnesota political science professor Kathryn Pearson said anti-Trump Democrats are taking a page from the tea party playbook of 2009, where conservatives opposed to Obamacare got organized and spoke out at town halls. "Particularly if they represent swing districts, where they know where they're going to hear from a lot of constituents who are either upset with them and their performance or upset with President Trump and sort of taking it out on Republican members of Congress," Pearson said. But members risk looking inaccessible if they don't hold in-person town halls, Pearson added. On the other hand, they may be hurt by video of testy exchanges going viral. 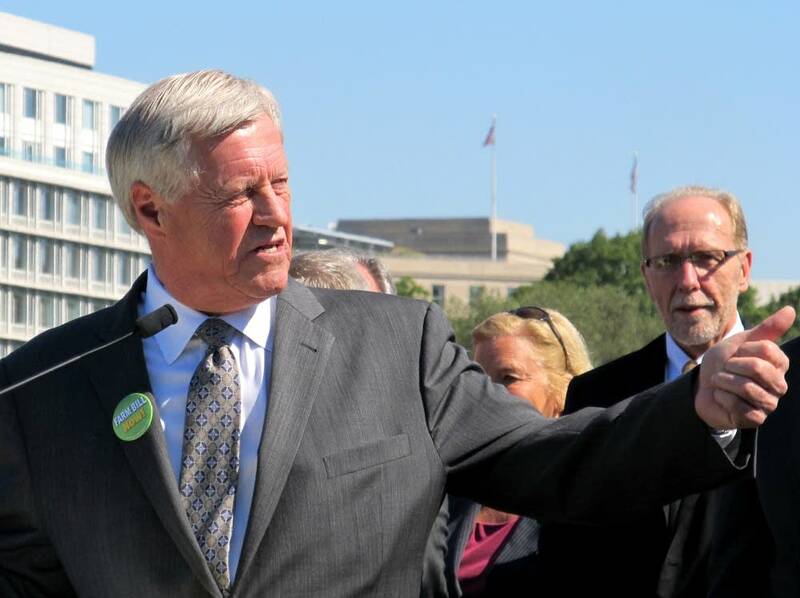 U.S. Rep. Collin Peterson, a Democrat who represents western Minnesota, does not appear to have scheduled any town hall meetings. His office did not return calls for comment. U.S. Rep. Keith Ellison's office says public forums will have to wait because the congressman is running for chair of the Democratic National Committee. In northeastern Minnesota, DFL U.S. Rep. Rick Nolan plans to hold public forums on transportation at Hibbing City Hall on Feb. 24, and another at Hermantown City Hall on Feb. 25. U.S. Rep. Tim Walz, a Democrat representing southern Minnesota, is holding a town hall Thursday in Rochester.